Great iPad/iPhone app from Woflram Alpha - particularly for network admins and networking students. Get it here. If you want to play it on an Xbox 360 or PS3, you have to leave your house, go to a store, and buy it on a plastic disc. If you want to play it right now, you can buy it and download it for iOS and Android from Apple or Google’s app stores. Any surprise where the growth in gaming is coming from? I could see why Sprint would want an exclusivity deal such as this, but Blackboard would have to be crazy to lock themselves into one carrier. Either the contract has enough wiggle room in it that Blackboard can assert that the apps are exclusive to Sprint cellular spectrum, but use over wifi is unrestricted or Blackboard is violating the terms of the agreement. Clearly Sprint's lawyers think that Blackboard is violating the terms of the agreement. Sprint agreed to pay Blackboard millions of dollars last year to offer a free mobile version of its popular course-management software that would work over Sprint’s network, but not those of competitors like Verizon or AT&T. Sprint officials reasoned that colleges would flock to the free version of the software, Mobile Learn. And because only Sprint customers could use the software with Android, BlackBerry and Palm phones, college students would have a powerful incentive to sign up with Sprint. But the deal apparently didn’t work out as Sprint had hoped. The communications giant sued Blackboard last month, alleging that Blackboard’s iPhone and iPad versions of Mobile Learn violated Sprint’s right to exclusivity because they can access the Internet over campus wireless networks. Sprint has also withheld nearly $3-million in referral fees from Blackboard since May, according to legal filings. Blackboard officials say they believe the contract precludes their application only from using the cellular signals of Sprint competitors. Allowing students to use campus Wi-Fi networks is allowed, the company argued. Great way to visualized the current crop of Republican candidates. As you head back to your classroom or job, think about how you might challenge yourself, your students or your employees to present and share information visually. Any medical transcriptionist will tell you that the worst part of the job is all the paperwork. It’s so taxing not just because there’s a lot of it, but because a majority of it is completely pointless. Indeed, the vast inefficiencies in the US’s health care system are universally regarded as a complete waste of time and money. And even with President Obama’s healthcare reform in full swing, much work remains to be done. Check out this infographic on how all these ridiculous costs break down – and the next time you’re getting behind on transcription because of paperwork, just remember that every health care professional is right there with you. And remind your boss to switch to digital record keeping, already. Leadership is a learned behavior, not a character trait. Listening is the most important skill for a leader. Negotiation is a practical skill for every leader. Too many leaders are focused on personal ambition. Laura Hazard Owen reporting - Bestselling Self-Published Author Signs Deal With Simon & Schuster. This is an interesting new hybrid model - Simon & Schuster will handle traditional print distribution, but Locke will retain his digital rights and continue to self-publish his digital content. John Locke, the first self-published author to sell over a million copies of his books on Kindle, is the latest to sign a deal with a traditional publishing company, Simon & Schuster (NYSE: CBS). But the company won’t get a cent of his digital sales. Simon & Schuster will handle the sales and distribution of the print editions of Locke’s Donovan Creed novels into stores (including online retailers like Amazon). Locke retains the print and digital rights and will continue to handle e-book sales himself. His agent, Jane Dystel of Dystel & Goderich, represented him in the agreement with S&S. Locke is not the first successful self-published author to enter into an agreement with a traditional publishing house, and his distribution agreement with Simon & Schuster is more limited than the deals that some other self-published authors have made. In the most well-known instance, 26-year-old Amanda Hocking signed a $2 million deal for four new books with St. Martin’s in March. St. Martin’s is also re-publishing her Trylle Trilogy in both print and digital editions. When science fiction writers first started imagining the robots of the future in the early 20th century, one of their prerequisite features was always that they’d be able to understand human speech. One hundred years later, though robotic butlers are still a ways off, scientists have indeed developed sophisticated automatic speech recognition software (ASR) that allows us to communicate with our computers in a new and exciting way. Some of ASR’s applications, while not involving robots, have revolutionized entire industries. The field of medical transcription, for example, which was once entirely manual, has become streamlined and modernized in a way that no one could have anticipated. This infographic breaks down exactly how ASR works, how it has helped our world, and what it has in store for us in the future. Behold is a search engine that is designed to help you find the best Creative Commons licensed images for your blog, slideshow, or video project. Behold searches the catalog of more than one million Creative Commons licensed images on Flickr. What makes Behold different from just searching by using the license filter on Flickr itself is that Behold searches not just by image tag but also by the quality of the content of the images. When it works correctly if you used Behold to search for images of "buildings in New York City" you would not only be searching the tags people assigned to their images, but you would also be searching the actual content of the images. Clothes with antennas sewn in to increase signal strength. But for our current work, we needed something less centralized. We’re not trying to grant connectivity to a remote corporate network; we’re trying to set up a private network in the old-fashioned frame-relay sense of the word — actually join several remote networks together. Traditional VPN solutions route all the traffic through the secure central node. If you’ve got one system in NSW and another in Victoria, but the remote access gateway is in California, then despite the fact that the two edges are likely less than 50 ms away direct path, all your traffic is going across the Pacific and back. That’s stupid. A major complication for all of us was that everyone is (of course) stuck behind NAT. Lots of developers, all working remotely, really don’t need to send all their screen casts, voice conferences, and file transfer traffic into the central corporate network just to come all the way out again. The 1990s approach to NAT implies a central point that everyone converges to as a means of getting their packets across the port address translation boundary. Things have come a long way since then; the rise of peer-to-peer file sharing and dealing with the challenges of internet telephony has also helped a great deal. Firewalls are more supportive and protocols have evolved in the ongoing attempt to deal with the problem. So the landscape is different today, and tinc takes advantage of this. According to their goals page, tinc is a “secure, scalable, stable and reliable, easy to configure, and flexible” peer-to-peer VPN. Uh huh. Because of its peer-to-peer nature, once two edges become aware of each other and have exchanged credentials, they can start sending traffic directly to each other rather than through the intermediary. tinc is a Virtual Private Network (VPN) daemon that uses tunnelling and encryption to create a secure private network between hosts on the Internet. tinc is Free Software and licensed under the GNU General Public License version 2 or later. Because the VPN appears to the IP level network code as a normal network device, there is no need to adapt any existing software. This allows VPN sites to share information with each other over the Internet without exposing any information to others. This graphic from Reuters shows how many lawsuits are flying back and forth. The key for Google is not Google itself, but rather all the hardware makers that build smartphones and tablets that run Android, Google's mobile operating system. Those companies are the ones with green dots next to their names. Researchers demonstrate the first wireless security scheme that can protect against “man-in-the-middle” attacks — but doesn’t require a password. 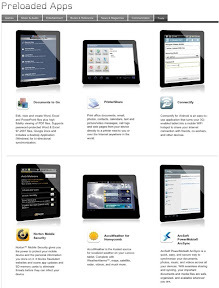 … if you're a published WebOS developer. Microsoft is offering webOS developers free Windows Phone devices and dev tools. Brandon Watson, Senior Director of Windows Phone 7 development at Microsoft made the offer in a twitter message on Friday. “Any Published WebOS Devs: We’ll give you what you need to be successful on #WindowsPhone, incl.free phones, dev tools, and training, etc.,” said Watson. The offer comes hot on the heels of HP announcing its plans to discontinue its TouchPad and pre phones and half all further webOS device development. What is mobile malware? Where does it come from? How does it get into your phone? These questions are just beginning to surface in the public mindset as splashy headlines warn smartphone users of the dangers lurking to take over their shiny, new mobile device. Tenure won’t save us from a higher education collapse. Start making alternative career contingency plans now because this collapse could be sudden and catastrophic. Computing technology poses an even greater threat to colleges than Thiel does. Computing power is driven by the well-established trend known as Moore's law, an implication of which is that the amount of computing power you can buy per dollar approximately doubles every year. Let's say you're 40 years old and are wondering what kind of artificial intelligence programs you'll be competing with in 20 years. When deciding this, take into account that 20 years from now computers will likely be around a million times more powerful than they are today. Over the long run you don't want to go up against Moore's law, yet I fear that this is my profession’s fate. If you think that students will always prefer live, human performances to online education, please ask yourself whether many 18-year-old boys would rather be taught by you or by something that came out of the technology used to create this. Honestly, we all should have seen this coming. You don’t bring in an enterprise consulting guy to turn around a PC and device maker. You bring in an enterprise consulting guy to turn a PC and device maker into an enterprise consulting company. We were unable to manage more than a 10% sell through with this OS, but we're confident that you can do better and justify paying us for license fees when you could instead be using Android for free. We continue to believe in WebOS, but not enough to actually use it. I think we need optical implants that allow us to just read the text from the bar codes. the full text of The Adventures of Alice in Wonderland converted into 2D barcodes. Use a mobile device with a barcode scanner to scan each code and read a section of the book. 4. Apple should adopt Windows. — John C. Dvorak, 2006 To kill itself, he meant. And he said this after Mac OS X was already a reality. 3. Apple should pull the plug on the iPhone. — John C. Dvorak, 2007 You gotta admit he was hilarious. Of course, he didn't know that the iPhone was going to be Apple's key to taking all over the world. Researchers at Taiwan's Industrial Technology Research Institute are giving the world a peek at i2R, a new type of easily erasable e-paper. The technology uses a thermal printer and cholestric liquid crystals, letting users write and erase its contents up to 260 times. It can print different colored inks and could potentially be used for things like ID badges and signage. The sheets currently cost around $2 a piece to produce and should be available to us consumer types in about two years. Kristin Lauter, Michael Naehrig and Vinod Vaikuntanathan ask Can Homomorphic Encryption be Practical?. The particular application they explore is encrypting cloud-based data while still being able to perform cloud-based computation on the data. Read the full paper here. Abstract: The prospect of outsourcing an increasing amount of data storage and management to cloud services raises many new privacy concerns for individuals and businesses alike. The privacy concerns can be satisfactorily addressed if users encrypt the data they send to the cloud. If the encryption scheme is homomorphic, the cloud can still perform meaningful computations on the data, even though it is encrypted. In fact, we now know a number of constructions of fully homomorphic encryption schemes that allow arbitrary computation on encrypted data. In the last two years, solutions for fully homomorphic encryption have been proposed and improved upon, but it is hard to ignore the elephant in the room, namely efficiency -- can homomorphic encryption ever be efficient enough to be practical? Certainly, it seems that all known fully homomorphic encryption schemes have a long way to go before they can be used in practice. Given this state of affairs, our contribution is two-fold. First, we exhibit a number of real-world applications, in the medical, financial, and the advertising domains, which require only that the encryption scheme is "somewhat" homomorphic. Somewhat homomorphic encryption schemes, which support a limited number of homomorphic operations, can be much faster, and more compact than fully homomorphic encryption schemes. Secondly, we show a proof-of-concept implementation of the recent somewhat homomorphic encryption scheme of Brakerski and Vaikuntanathan, whose security relies on the ring learning with errors (Ring LWE) problem. The scheme is very efficient, and has reasonably short ciphertexts. Our unoptimized implementation in Magma enjoys comparable efficiency to even optimized pairing-based schemes with the same level of security and homomorphic capacity. We also show a number of application-specific optimizations to the encryption scheme, most notably the ability to convert between different message encodings in a ciphertext. Corn grown on the farm of California State University at Fresno has become incredibly popular, with people lining up for hours to make purchases, The Los Angeles Times reported. The university expects to sell 1 million ears. ... and the budget-conscious. Interesting that android has become the brand for techies, because it's highly configurable. Unfortunately, that "openness" makes it more difficult for newbies and non-techies. If I were buying my mom a tablet, it would be an iPad - not an Android. The K1 may beat the iPad on pricing - not availability though - but for non-techies the extra cost is often worth the ease of use. Remember, you get what you pay for! The IdeaPad K1 is cute, (relatively) affordable, and easy to use, and we know it'll be a sensible choice for some shoppers. We're just not sure that's you, our dear, tech-savvy readers. See, the K1 has two big strengths: one, it's aggressively priced, starting at $449 for 16GB (granted, that version's not on sale, so if you buy today, it's going to be the $499 32GB model). The other major thing the K1 has going for it is simplicity. Lenovo's tweaked Android 3.1 so that settings are easier to find and apps are easy to kill. It also comes with an array of popular apps (or bloatware, if you're cynical). Factor in the attractive design, and we can recommend this, particularly for people with budget constraints, or those looking to give a techie gift to a not-so-techie person. Those things aside, the K1 is heavier than most tablets, and doesn't justify its heft with additional ports, extraordinary battery life or even zippy performance. If you didn't want ports anyway, and know your way around Honeycomb without Lenovo's help (thank you very much), why not just get something thinner, faster, and longer-lasting? Or, you know, at least stick around and see how Lenovo's geekier ThinkPad Tablet fares. MG Siegler reporting for TechCrunch Google Threw A Punch, Microsoft Fires Back With A Missile. Earlier today, Google came out swinging. Seemingly sick of being continuously slapped in the face by the patent issue, Google’s SVP and Chief Legal Officer, David Drummond, wrote a blog post calling out several of Google’s rivals for attempting to use “bogus patents” to destroy Android. Chief among the rivals called out was Microsoft. Drummond noted that the software giant had been getting in bed with other rivals to hurt Google. Among the accusations was that Microsoft teamed up with Apple to buy Novell’s old patents, implying that they did so in order to keep them away from Google. Microsoft didn’t take too kindly to that remark. “Google says we bought Novell patents to keep them from Google. Really? We asked them to bid jointly with us. They said no,” Brad Smith, Microsoft General Counsel tweeted out in response. Sarah Kessler details a New Classroom Tool Uses Laptops & Phones for Instant Assessment. Here a couple videos explaining Socrative, which you can find here. What I particularly like is that you can use iPads, smartphones (iPhone and Android), as well as laptops or PCs - removing the barrier of having to have a smart-device. Very similar to a service we've covered before - PollEverywhere. Socrative makes a web, iPhone and Android app that functions as a clicker system. After a teacher sets up an account, he or she receives a classroom number to give students. They simply enter the number in their phones or on a laptop and are ready to answer multiple choice questions, write short answers and compete in team challenges. “They don’t have to create a user name and a password, it doesn’t have to be approved by an administrator, it doesn’t have to go through the school, we didn’t have to spend 45 minutes setting it up. … I get an excel sheet that I know what to do with,” she says. Socrative co-founder Amit Maimon, who made the prototype while he was teaching a class at MIT’s Sloan School of Management, says about 3,000 teachers have signed up for the app since its beta launch without marketing in April. Eventually the company would like to sell a premium service with individualized performance data for schools, parents and students. … 4 years late - four years since the launch of the iPhone. Erik (no last name given) at the ICS Learning Group blog puts an interesting spin on Adobe's recent announcement. Adobe and HTML5 - for four years, Adobe has done the exact opposite of what I've highlighted below. Companies looking to take on Apple’s iPad are quickly finding out that it’s more of an uphill battle than they bargained for. Whereas Android was able to quickly catch up to the iPhone in terms of marketshare, the same cann’t be said for Android-based tablets. This past quarter, Apple recorded record revenue thanks in part to unbelievably strong iPad sales - 9.2 million units to be exact. 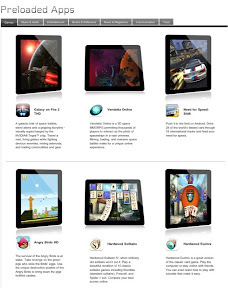 Earlier last week, Motorola announced that they sold just 440,000 units of its Xoom tablet during the quarter gone by. For the entire 2011 calendar year, Motorola anticipates sales of 1.3 to 1.5 million tablets. Apple meanwhile sells over 1.5 million iPads every two weeks. A company rushing a product to market to take on an established Apple product?! Why that’s unheard of I tell you. You can get ScreenChomp for free at the app store. ScreenChomp is a digital whiteboard that users can write and draw on with the touch of a finger. You can draw using twelve different pen colors. All activity on ScreenChomp can be easily recorded and then if you want, edited through Camtasia for Mac or Camtasia Studio. The videos produced in ScreenChomp can be downloaded as MP4 files, making them easy to share on ScreenChomp.com, Facebook, YouTube, iTunes, Blackboard and other video hosting platforms. Why would you use a recordable whiteboard? Well, ScreenChomp lets you jot down your ideas and easily share them with everyone or a few select people. It's a helpful app for everyone, but developed with teachers and students in mind. Plus, the price is right - ScreenChomp is free! Download ScreenChomp from the Apple App Store here! ScreenChomp is available for the iPad (iPad1 and 2), iOS 4.2 or later. ScreenChomp can import one image as a background before the recording starts. You can scale and rotate that image, but you cannot import more than one or after the recording starts. … it's generational. Maybe it's time to just sit back and watch them pass us by. Click through to get the instructions. For a week I would shut down my Linux and Windows virtual machines and even my Android smartphone and use my iPad exclusively for all of my work and personal computing needs. There would be one caveat: I would still use the phone for the telephony functions alone, since it's the only cell phone I have. But I turned off all auto-updates on my mail and Twitter accounts to reduce the temptation to check those accounts on the phone. With these restrictions in place, would I be able to manage the workload of a free-wheeling professional writer on my iPad -- and do efficiently enough to also juggle the summer schedules of three active daughters? The strength of the iPad right now is the consumption of content, and there is no doubt that it can do that well. After a long week, I watched some remastered Star Trek episodes on Netflix and started reading 1776 on the Kindle app. This is what the iPad is best at, to be sure. It's not that it can't do real work, though. You just have to have the right apps, the right hardware, and be willing to work around the interface's limitations as you go. It can be slower than a PC platform to input content, but not to the point where you go crazy. IN the end, a week with the iPad turned out to be a pretty productive week that enabled me to do everything I needed to accomplish, and get some entertainment in as well. Very thorough review of the Galaxy Tab 10.1 from DeviceGuru. Very positive take on the Galaxy Tab, although I disagree with the statement that there's less need of tablet optimized apps because of the browser - i.e. web apps replace many native apps. As said by Robert in the comments: I went for an android tablet because of its more open nature. Of course there are some rough edges but I accept it. In my tests, the Galaxy Tab 10.1 was more successful than the iPad 2 at streaming video directly from websites, due to its support for Adobe flash. On the other hand, the Galaxy Tab 10.1 has fewer tablet-aware apps than the iPad 2, with Netflix and Crackle being two good examples. So I guess my bottom-line advice is that, at price parity, the iPad 2 is a better bet for the average user, since it’s a more stable, near-perfect device with a rich assortment of apps for nearly every possible function you’d like to perform on your tablet. Therefore, unless you’ve got a grudge against Apple for some reason, or are enamored with the idea of having a more configurable tablet, there’s not a lot of justification to go with the less mature, less established device at the same price. Another Android 3.1 tablet. Lenovo's Ideapad K1 Tablet looks interesting as does the strategy of including over 30 apps.